Social media has become one of the central parts of 21st century business. Also, that’s more than true for creative solution services working for clients who are aiming to connect with prospects, clients, and even potential investors. While possessing a social media marketing strategy is a necessary these days, it can become quite time- and energy-consuming. From posting on your wall – answering customers’ concerns – to posting and sharing content, content management has turned into a full-blown, full-time job. The most efficient way to automate social media is by downloading or purchasing apps. Each app may have its own unique features and benefits; but, basically they all let you schedule social media content beforehand and lets you monitor your social media pages when someone engages by mentioning your brand or by commenting on your page or posts. If you’re just beginning, select just one app and test if it works for you. You and your team may have exerted much effort on that blog post or composing that infographic. Why not make sure that it’s going to be viewed, shared, and engaged on by netizens in the social media pool? If you are using WordPress for your blog, this is quite a breeze to do. There are a lot of available plugins that lets you to place social share buttons on your website or landing pages or instantly post on social media anytime a new article appears on your page. But, you can also sync blogs and social media content beforehand with apps like CoSchedule. This tool allows you to strategize your editorial calendar in sync with the social media page you wish to share it to. The most successful Twitter influencers usually tweet three times each day. Even if you only tweet and retweet the same post, you’re still optimizing your odds of engagement and shares since you are being seen by a different set of audience. 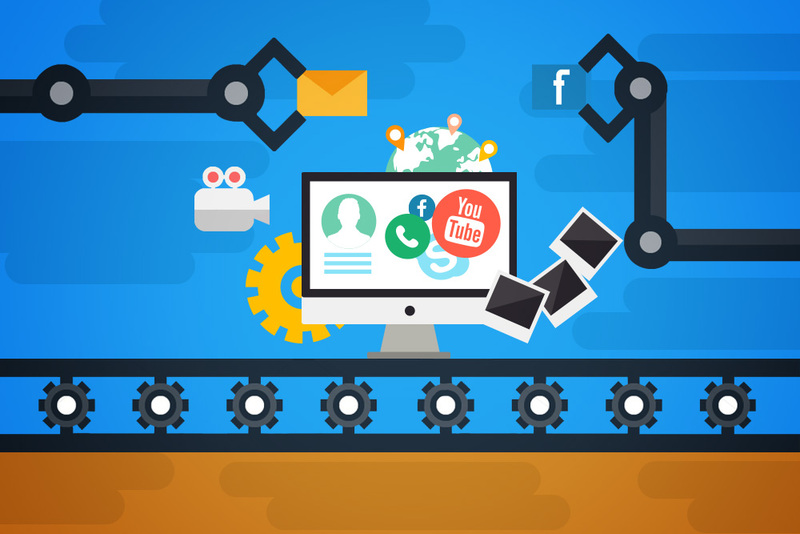 Finally, you should realize that you can’t have 100% automation of your social media and turn it into the ultimate “like” and “share” machine you wish it to be. If you want to amass and grow a huge fan base, automation is not the only means to achieve this. You should ensure that you have actual engagement with your fans. Believe me on this, people will see if an account is being manned by a bot. Instead of bombarding yourself with tasks, focus on accomplishing one thing at a time. You could just focus on responding to questions, or sometimes updating your profile. You don’t really have to do this every hour of your shift, but try looking for a moment where you can personalize and put a human touch to your page. I admit that the more personal approach creates a more powerful and warm response from fans. By doing this, you gain their trust and trust is the foundation where successful businesses are built on.